Vibrant reds and blues, shadowy dark black or fun with pink? 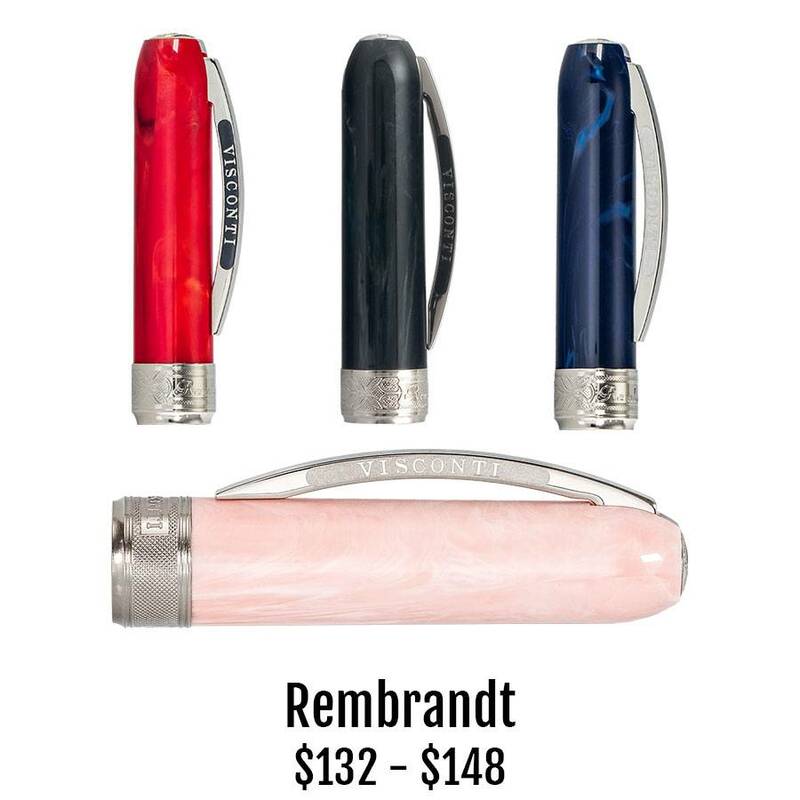 These are the choices you’ll face with this classic collection of Rembrandts. It’s all about the color! Every single Classic Collection piece is unique due the use of this variegated resin. It’s a collector piece. The Rembrandt range uses a central design theme dating from the Renaissance period known as chiaroscuro; the playful contrast of light and dark. Under light, these contrasts are most profound. The central cast ring is finely engraved with motifs used by Rembrandt. The magnetic locking closure literally attracts the cap to the two-piece pen body. A twist ballpoint also features the iconic Visconti clip, designed for durability.